We’ve analyzed every player with five or more goals this season and compared them to theirs Expected Goals. The result: the best players of the season are not what we all expected. 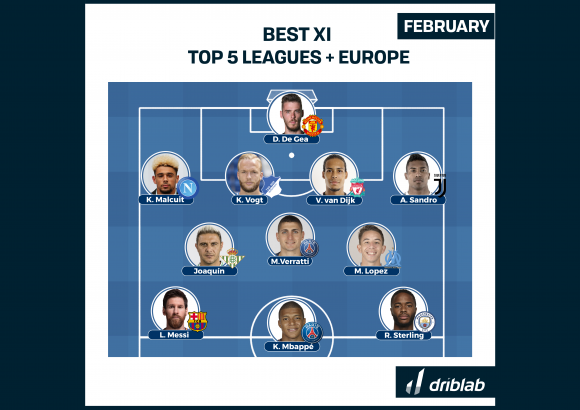 Don’t look for Cristiano Ronaldo, Harry Kane, Mo Salah, Lewandowski or Luis Suarez. The top scorers in the 2018/19 season have arrived by surprise. From young talents like Luka Jovic or Reiss Nelson, the surprising Emiliano Sala in Nantes and, of course, a Paco Alcácer who has gone from anonymity on the bench of the Camp Nou to being the best scorer of this year. This table analyses all the players who have scored five or more goals this season and who play in one of the five major leagues. 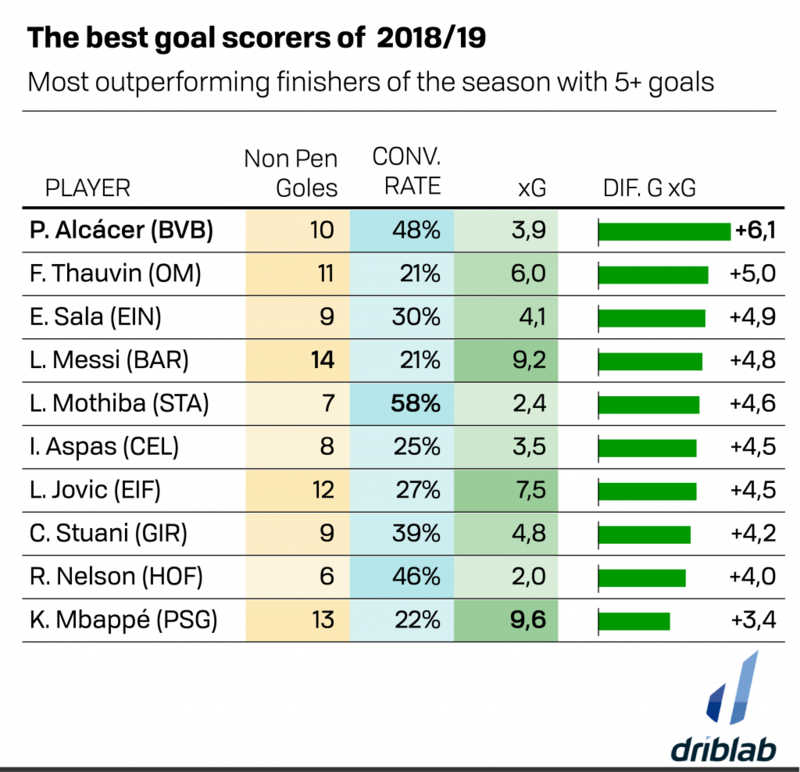 The factor that has ordered their place in this ranking is the difference between the expected goals (xG) and the goals scored (not counting penalties). The player with the greatest difference has been Paco Alcácer who has scored 10 goals in just 3.9 expected goals. 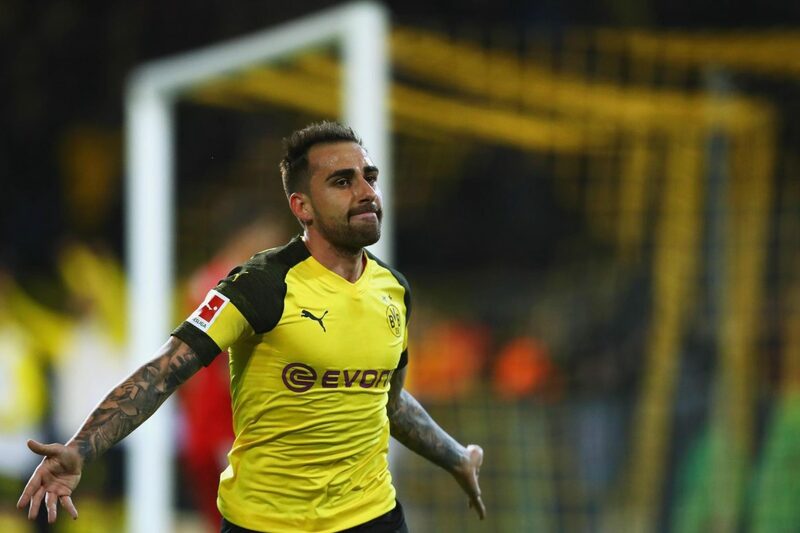 Paco Alcácer’s scoring record since arriving in Dortmund is unparalleled: 10 goals in 21 shots this season and a goal every 56 minutes. That ability to see goal even from the bench contrasts with his time at the Camp Nou: in La Liga and Champions Paco Alcácer scored 11 goals in 42 games as blaugrana. In just four months at his new home he has scored 10 in 10 appearances as borusser.